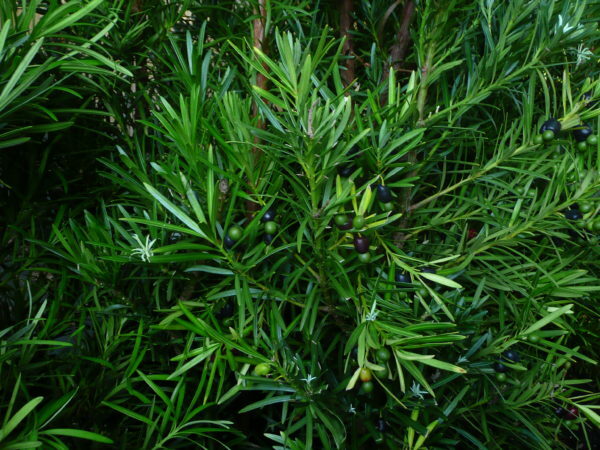 Sometimes called Podocarpus and other times called Japanese Yew, this large upright-growing evergreen shrub is awesome! Its fine textured long, narrow dark green leaves provide color throughout the year, and it produces unique bluish-purple berries. It takes well to shearing, and also tolerates heat and humidity well. 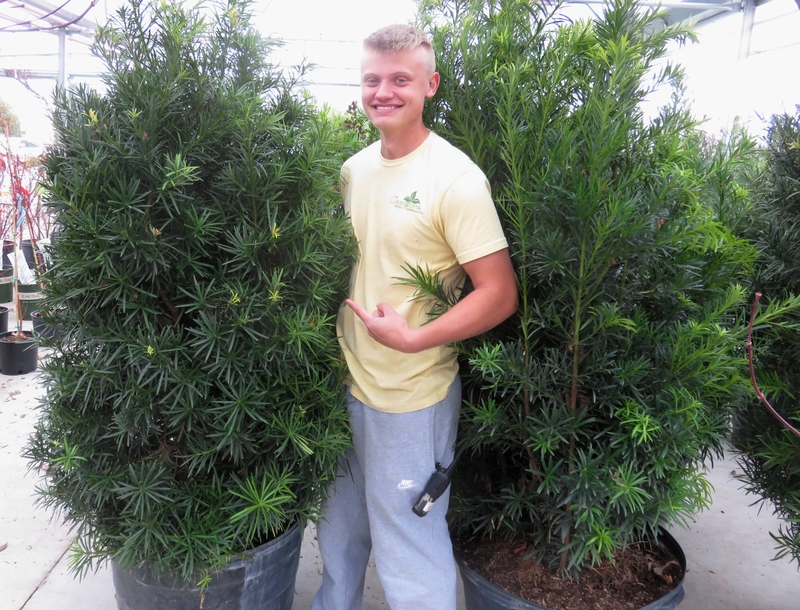 Hunter likes podocarpus because they are low maintenance and grow nice and large (8-12′ tall x 5-6′ wide and larger with age) so they are perfect for a single specimen plant, but also do great as a clipped hedge, a sheared topiary, or in mass as a natural privacy screen. Plant in shade or part shade conditions. Many are on sale now! 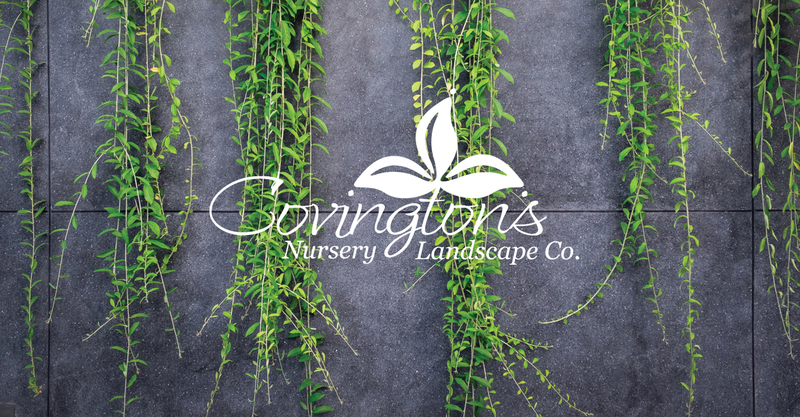 Go to http://www.covingtonnursery.com/check-inventory/ to check out sizes and prices, then come on down to get yours today.